Kisipatnahk School is a Kindergarten to Grade 9 school located on Louis Bull Tribe in Maskwacîs, Alberta. We have 205 students and 36 staff. We are proud to be able to provide our students instruction in the Maskwacîs Cree language and culture and the Alberta curriculum. In August 2018, Kisipatnahk School officially became a part of the Maskwacîs Education Schools Commision (MESC). 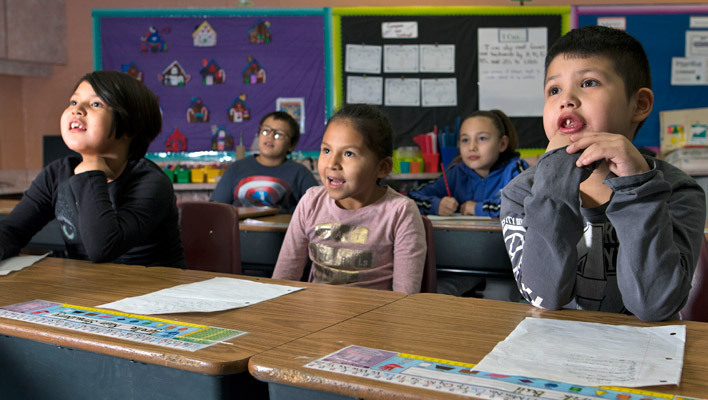 The new education authority ensures all eleven schools in Maskwacis are provided quality and culturally relevant education for Maskwacîs children. The Maskwacîs Cree Declaration on Education is adhered to and guides the decisions made within Kisipatnahk School to ensure quality of learning.